Global Warming Causes 1500 Private Jets to Gather at Davos. And then the passengers will lecture the rest of us on how to lower our carbon footprint. “Four years ago a viral campaign wooed the world with a promise of fighting climate change and jump-starting the economy by replacing tarmac on the world’s roads with solar panels. The bold idea has undergone some road testing since then. The first results from preliminary studies have recently come out, and they’re a bit underwhelming. 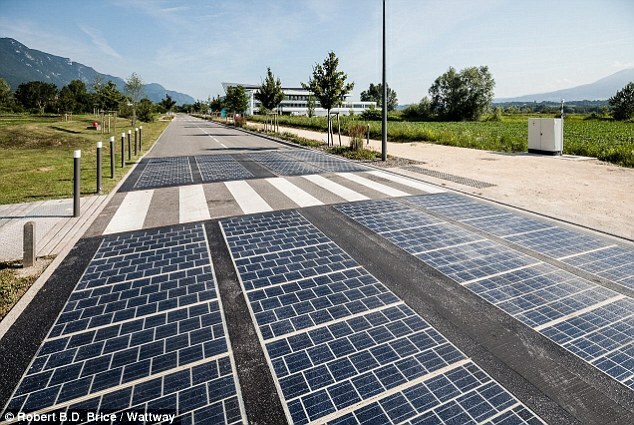 A solar panel lying under a road is at a number of disadvantages. “The panels are also likely to be covered by dirt and dust, and would need far thicker glass than conventional panels to withstand the weight of traffic, which will further limit the light they absorb. Drax is a coal power plant in the UK that has converted 3 out its 6 boilers to burn wood pellets. Why is DRAX switching to wood pellets? The EU has declared wood pellets to be green despite the fact wood pellets produce more CO2 than coal. This is a bigger scam than diesel. Sad to say SFU is my alma mater. They love predictions that won’t come true for 300 years. It won’t interfere in the grant money harvesting. Wait … “almost unheard of”? Almost? Wait … “Only three times at most”? The climate model scam explained by Scott Adams. DDT has been killing mosquitoes and saving lives for decades. But it is wearing off. The morons who banned DDT were evil.